Delicious Dishes is a bespoke catering company, based at a barn in Fetcham on the edge of the Surrey Hills. We have grown purely through word of mouth, since 2003, and serve London and the home counties. Specialising in corporate entertaining and private parties, Delicious Dishes host funeral receptions, birthday party celebrations, anniversaries, office launches and school balls. The food is cooked using locally sourced ingredients, and is often traditional recipes with a contemporary style of service, served on beautifully shaped platters and bowls. 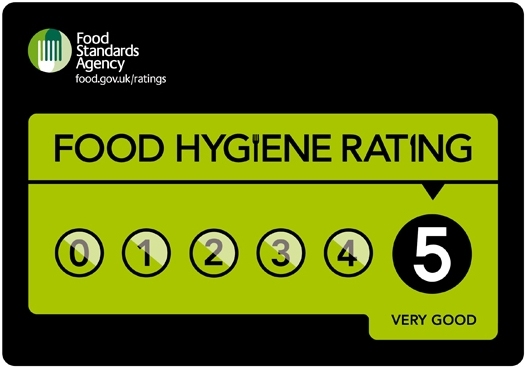 The local council’s Environmental Health department have awarded Delicious Dishes a maximum of five star rating for food hygiene, and the team arrive at every event with all health, safety and cleaning equipment required. The team of professionally trained staff cook and serve food prepared at the barn. 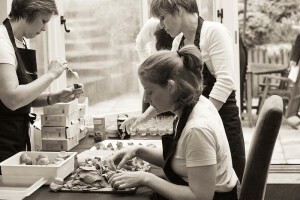 Our team are carefully selected, presentable and energetic with a wealth of catering experience. Whether you have 2 or 10 of our team at your event, the highest levels of service, quality and hygiene will be delivered throughout. We can cater any areas but to view some of our local locations, click here.